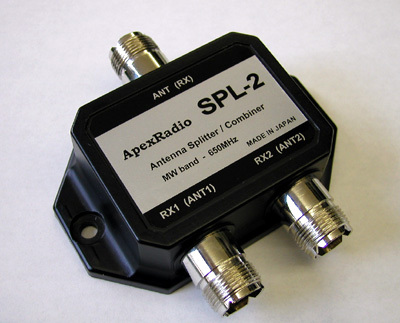 The ApexRadio SPL-2 allows two receivers to be connected to one antenna without interaction and with minimal signal loss. A high degree of isolation (30 dB typ) between both receivers ensures that each receiver can be tuned and operated as if it were connected to its own antenna. The SPL-2 can also be used in reverse. That is, as an antenna combiner for two antennas to one receiver. 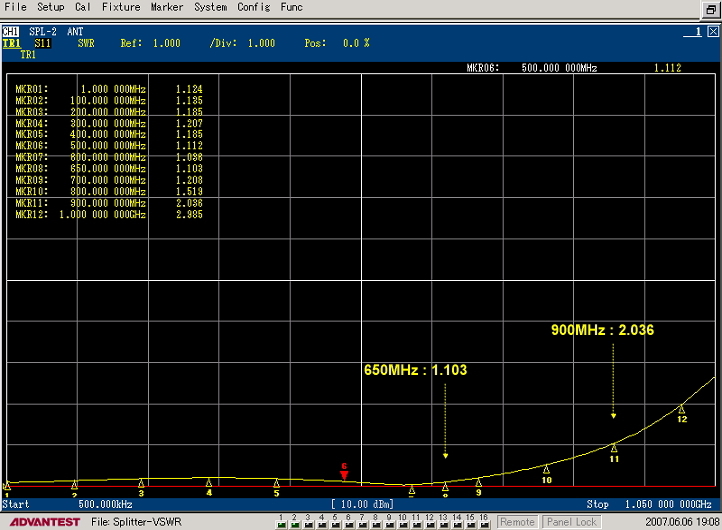 This device is operational from Medium wave to 650 MHz. This is a passive (not amplified) device. The SPL-2 uses three SO-239 jacks. 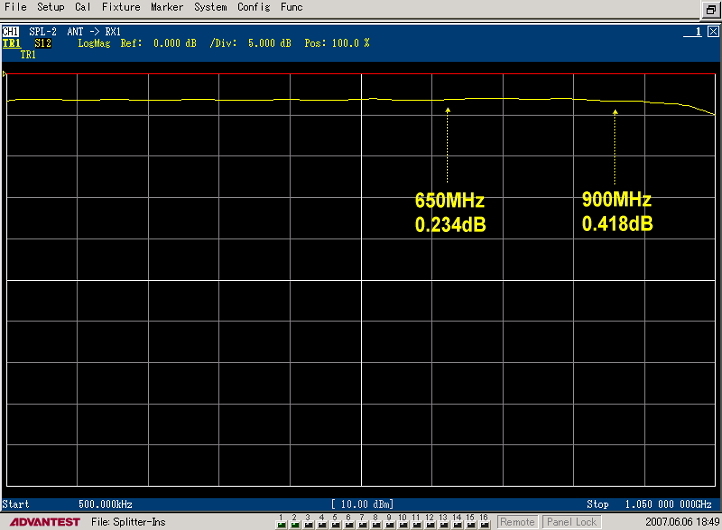 Insertion Loss 0.25 dB typ.